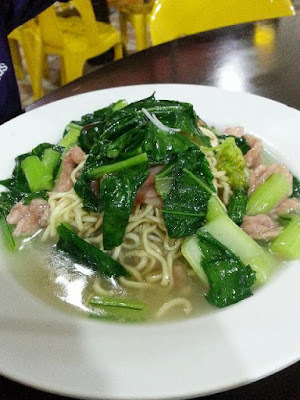 There are several districts in Sabah have got their signature mee. 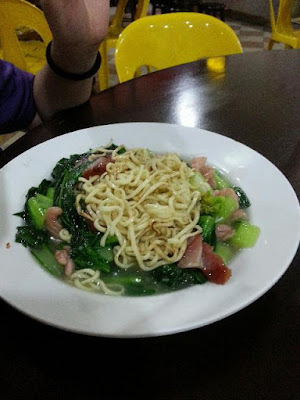 For example Tuaran mee, Tamparuli mee, Tenom Mee and Beaufort Mee. To me there are similarities among them which at times make me confused which type of mee we are eating. with the same gravy and cooking style, I could enjoy the Beaufort style fried meehoon. 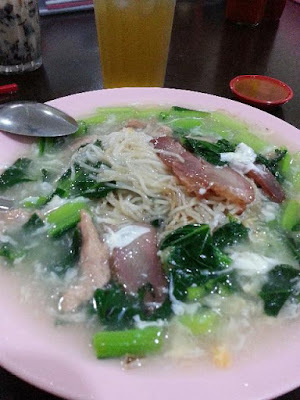 There was one time we drove to Beaufort to look for the authentic Beaufort mee, unfortunately it was a public holiday, the coffee shop was closed..now without much hassle, we could easily find Beaufort mee around KK. Beaufort is a quiet town some 95KM away from KK. It is about 1.5 hours drive on the highway or 2 hours by train from KK city. 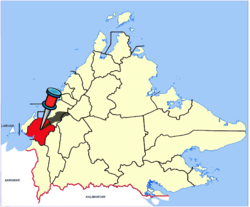 Here is where Beaufort is located in North Borneo, you can read more about it via Sabah Tourism's website here. I am also not a mee person especially with clear soup. I only eat mee in curry or fried mee. 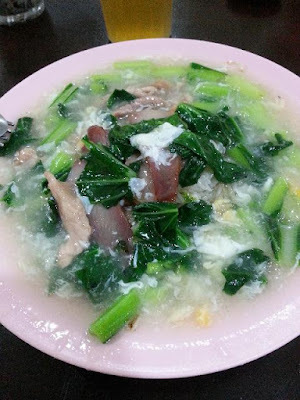 Looks like what we have over here the wat tan mee or meehoon. The mee does look special. The gravy looks a bit like you can whip up at home? SOMETIME GO FURTHER TO TRY THE ORIGINAL HANDMADE MEE IS WORTH IT. I THINK I SHOULD GO THERE TO TRY IT AND JALAN-JALAN. I like the amount of vege in this noodle dish. 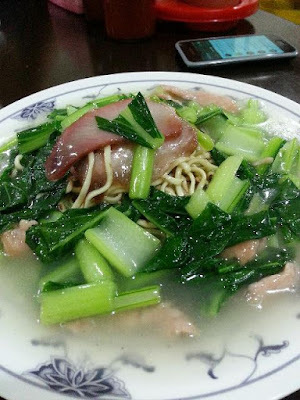 I love this Mee with so much vegetables! I would finish 2 plates with plenty of cut chillies.